Book Direct to Guarantee the Best Room Rate!!!! The White House Inn features 11 beautifully appointed guest bedrooms located within the Main House and Annex, each designed to offer our guests the ultimate in relaxation and comfort set in a stunning location overlooking the golf course. Due to our stunning location the majority of rooms command amazing views along the Yorkshire coast. We have a room that is wheelchair accessible but does not have all the facilities that some disabled guests may require. Please call reservations on 01947 600469 for more information. Located within the Main House of The White House our 5 Standard Double and Twin rooms offer guests something a little bit different. The rooms are all en-suite with some offering amazing views of the adjoining Whitby Golf Course and North Sea beyond. Whichever room you choose they all provide a comfortable and inviting base during your visit to Whitby and the Yorkshire Coast. The White House Inn boasts four Annex Rooms (3 Double and 1 Twin) that offer guests something a little bit different. All the rooms within this old converted coach house and stable are en-suite and offer direct outside access, perfect for smokers and walkers. Natural daylight for the rooms is provided by ceiling skylights, which can be opened fully so you can enjoy the fresh sea air but do not provide a view from inside. 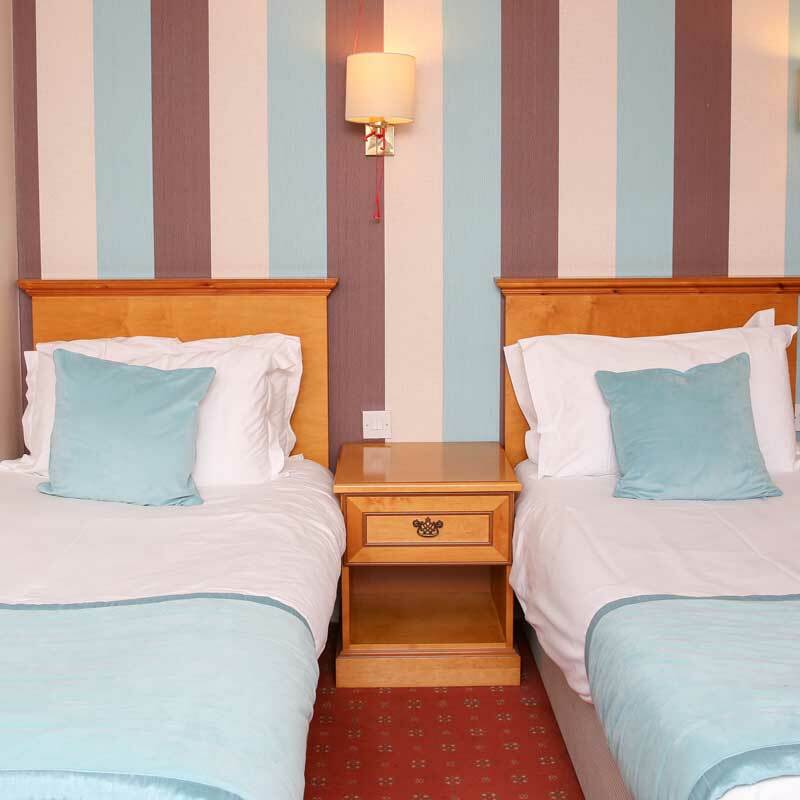 With plenty of room, our Large Double Room with Sea View in the Main House offers great value accommodation in Whitby. The room offers accommodation for 2 people and consists of a double bed and a part sea view. Located in the Main House and commanding amazing views along the Yorkshire Coast towards Sandsend our Deluxe Rooms provide you with the best view in Whitby from your own private balcony. It’s the perfect place to watch the sun go down and experience the late night shimmer of light across the North Sea. Both Deluxe Rooms are larger in size than our other rooms and have been decorated to ensure your stay at The White House is relaxing, comfortable and enjoyable. "My wife picked this from the Internet and i must say what a great choice." "The hotel has a lovely aspect situated as it is looking across Whitby golf club to the sea and Sandsend. " "Pulling up in the car park my husband and I knew we had made a good choice." "Quite modern but so comfortable"
"Gorgeous light airy large room, quite modern but so comfortable." Don’t hesitate to get in touch with us regaridng any questions you have.